After a few weeks of working closely with the WPML team, we’re proud to announce that Meta Slider has been reviewed and is now officially compatible with WPML! We’ve also been working on adding in compatibility for other translation plugins: qTranslate & PolyLang. The compatibility updates for WPML, qTranslate and PolyLang are all available in version 2.4.2+ of Meta Slider (Free). 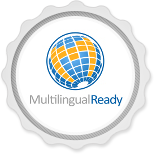 Are you looking for compatibility for other translation plugins? Let us know in the comments!